1. Log in into your BookSteam account, navigate to the "Marketing" tab, select "Mini Webpage" on the left hand side and copy your scheduling page URL link. 1. Log in into your Constant Contact account, if you do not have one you can start your FREE trial here. 3. On the left hand side, under "Blocks", drag a "Button" block to your email template. 4. Select "Edit this block" icon and double click on the text in the block. 5. 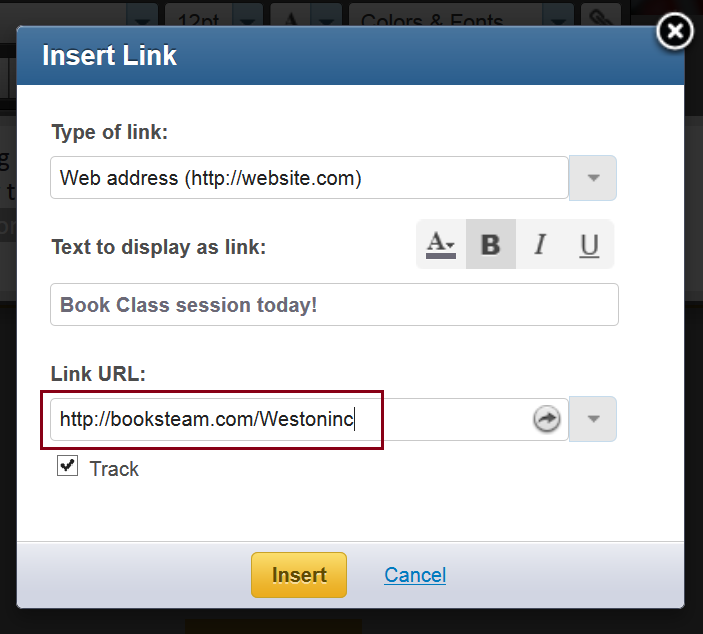 Edit "Text to display as link:" to your likings, paste your scheduling page URL link from step 1 and click the "Insert" button. And you're done! 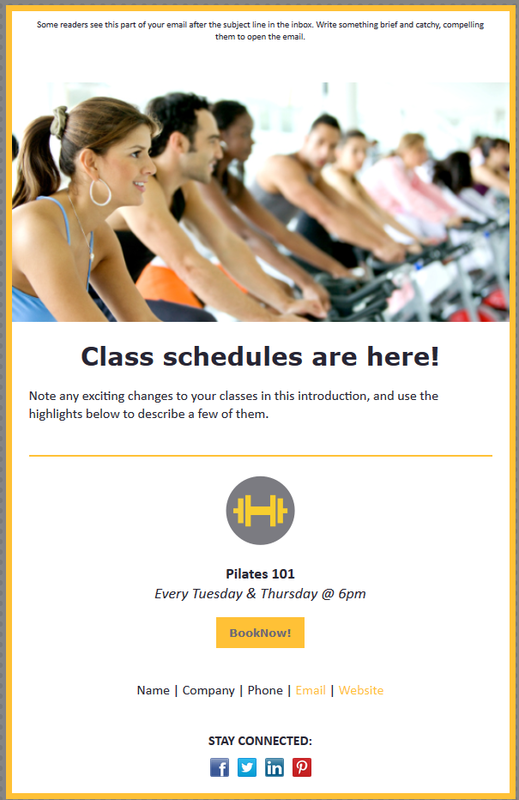 Professional looking email ready to be sent to your clients. 6. If you would like to add just the scheduling text link instead of the button, highlight the text you wish to turn into a scheduling link and click "Insert Link" icon. 7. 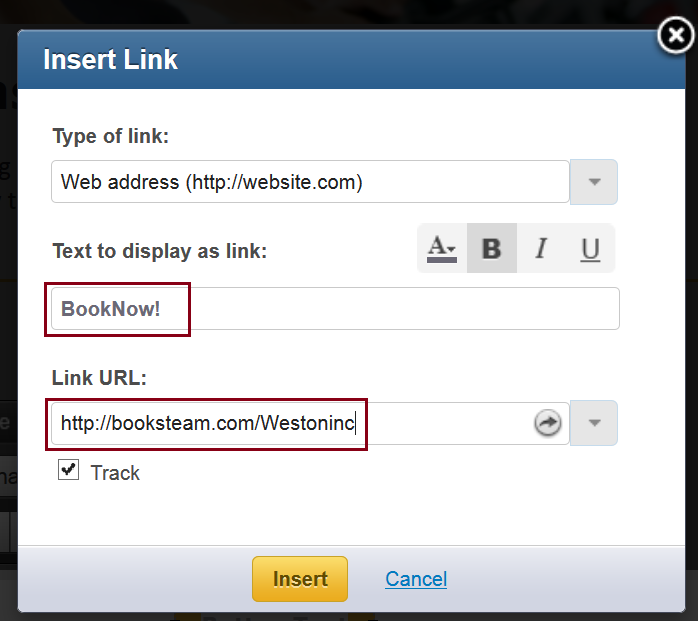 "Insert Link" window will popup, paste your scheduling page URL link from step 1 and click the "Insert" button.